The backside is an extremely important body part that you shouldn’t neglect in your workouts, even if you’re a guy. In order to get stronger, faster, more explosive, your posterior chain has got to do some work as well. Most lifters tend to neglect this and that’s why their hamstrings, glutes and lower back start lagging behind when compared to everything else. 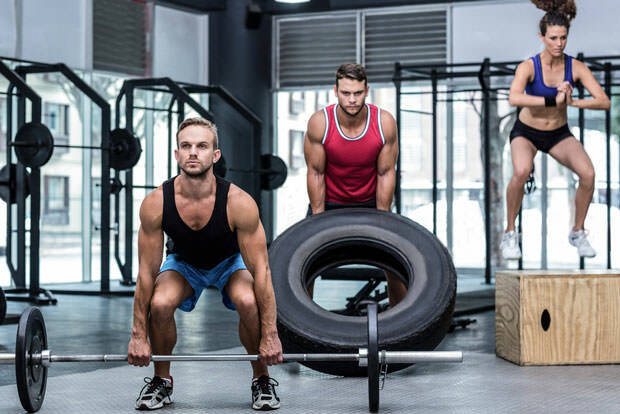 This can have disastrous effects on your deadlifts, squats and Olympic lifts and can even cause some knee and hip issues. No matter how strong your upper body is, all compound exercises start at the core and the lower body. Think of it as the foundation of all your strength. A nice roof won’t do squat for you (pun intended) if you have a lousy foundation. Instead, everything will just collapse. That being said, if you want to seriously strengthen your posterior chain, you have to target it at least twice a week. In other words, devote two days of your workout week to lower body exercises and make them both heavily slanted toward the posterior chain. The muscles you should be targeting are your hamstrings, glutes and lower back. This can all be accomplished with certain variations of the compound exercises you probably already do: the deadlift and the squat. When doing a regular deadlift, you’re working your back, this is true. However, in order to target your lower back more by using this exercise, simply lift the barbell straight up and you’ll notice a difference straight away. This variation does little for your glutes and hamstrings. 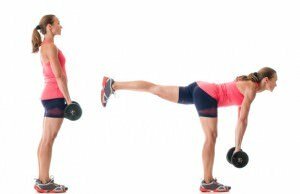 In order to activate those muscle groups, go for the Romanian and sumo deadlifts. Of course, there are exercises other than the deadlift that can help as well, such as the back squat. To do the back squat, use a stance slightly wider than your hips and keep your torso upright. The point is to go as low as you can without losing the arch in your lower back. If you feel that your pelvis is moving under, you’re too low. Another phenomenal exercise for your posterior chain is the glute-ham raise if you have access to the needed equipment. Don’t get discouraged if you perform poorly with these exercises compared to the rest of your routine. Your posterior chain is an area that isn’t used all that much in everyday life and a lot of people don’t exercise it at all, so it’s prone to being a bit weaker. However, once you strengthen this muscle group, the rest of your routine will flourish because you’ll have finally built a strong foundation for your lifts.